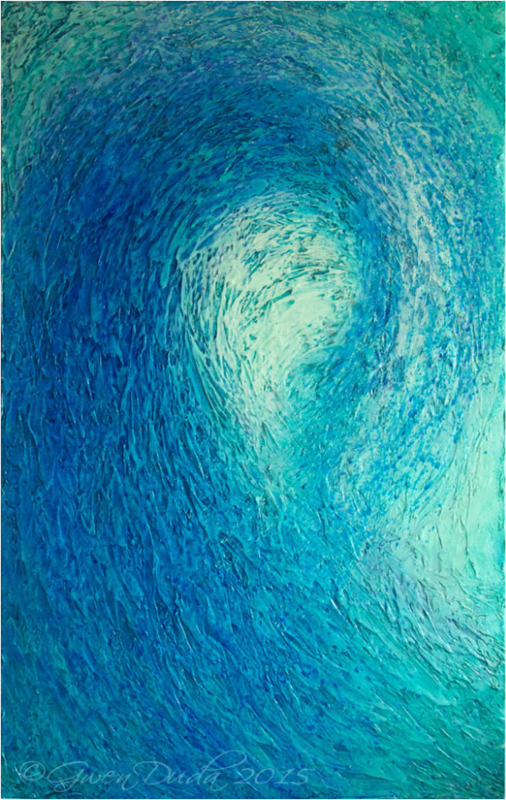 This was a commissioned piece that was to incorporate the blues and textures of some of my preceding works based on water's colours and texture. First a textured layer was applied then when fully cured layer upon layer of colour was applied in a variety of ways (glazes, dry brushing, scumbling, etc.) with protective clear glazes done at incremental stages. The result is a beautiful tactile surface with a rich depth of colour and luminosity.